Governor Pat Quinn announced a capital investment of more than 710,000 for Moraine Valley Community College’s Blue Island Campus. Path Construction Company, Inc. of Arlington Heights will work on the college’s infrastructure expansion, which will include exterior restoration of the roof, masonry and the building’s façade. Managed by the Illinois Capital Development Board, this construction project also aims to boost the Southland community’s economy by creating jobs. 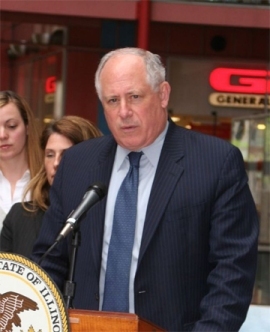 Governor Quinn’s Illinois Jobs Now Program is currently the largest capital construction program in the state of Illinois and one of the largest construction programs in the country. Illinois Jobs Now will play a key role in Moraine Valley Community College’s expansion efforts, as the 31 billion dollar initiative has helped over 439,000 jobs over the past six years. So far, reactions from local government officials have been positive. State Representative Monica Davis (D-Chicago) discussed how the project will improve learning conditions as well as help employ residents. State Senator Emil Jones III (D-Chicago) found the construction project to be a deeper investment in ensuring that the college-bound are supported. “Investing in the infrastructure of this campus community shows all students of our state, not just those attending Moraine Valley, that there is still a bright future for higher education in Illinois,” State Senator Emil Jones III (D-Chicago) said. A pre-construction meeting will be held in mid-December, and construction will hope to begin thereafter.